Betsoft have been one of the most innovative companies in the casino industry for the last decade. They have earned this reputation by applying some of the most advanced software ever created for online casino games and then being able to roll it out on an industrial scale for hundreds of different casinos around the world. The fact that over 240 casinos currently support the Betsoft software in some form underlines just how popular these game developers have become. The software that they have on offer is exclusively instant play, and the company has managed to develop a huge number of their games to operate on mobile devices as well. In fact, they were one of the first developers to completely get rid of the flash based games that were so popular throughout the casino world and change them to a HTML5 format, which meant that when it came to playing the games via your mobile, the transition would be seamless and the quality superb. Their portfolio includes over 150 games which puts them right up there as one of the biggest in the industry. As you will know, casinos tend to prefer as large a list of games as possible to offer their customers, so you will find that Betsoft are often incorporated alongside other brands to create a more complete package. 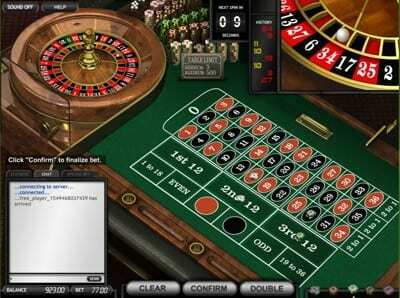 As we mentioned earlier, there are over 240 casinos that use the Betsoft software. The company have enjoyed huge success from the slots games that they offer, but they also include a number of table games to add variety. With slots being so prominent, it would make sense that a company such as Betsoft would have a massive range to choose from. Whilst there are around 100 or so to choose from, other developers have more, so what makes Betsoft software so popular? Well, it comes down to innovation and the fact that Betsoft have kept themselves at the forefront of technology, so they produce games that the public simply want to play. We already mentioned the shift to HTML5 which opens the door to a much wider range of games on both desktop and mobile, but Betsoft also provide what is known as Slots3. This is their 3D range which contains exclusive 3D slots that only Betsoft are able to develop. These types of games are made to offer a rich, vivid, and true 3D cinematic gaming experience, whilst not sacrificing playability in terms of bonuses, features, reels, and paylines. This 3D software isn’t just available on your standard slots. They have managed to develop it for arcade games and interactive games, too, both of which have won awards for innovation. Each game features a beautifully crafted design and theme that have rarely been covered in such a manner by other software companies. The world of the slot rarely ends at the reels adding depth and interest. 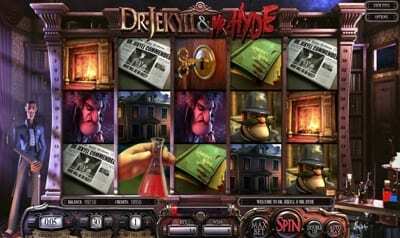 Standout titles have to include The Tipsy Tourist, Dr Jekyll and Mr Hyde, Charms and Clovers and the Great 88. The table games get significantly less coverage than the slots, but they have recieved no less care and attention. Plus, with blackjack at least, you are still going to be able to choose from around half a dozen variants. These include American, European, Pirate 21., Pontoon, 21 Burn, Single Deck and Super 7, and most importantly, they are top quality products. Roulette follows a similar structure to blackjack in that there are enough to choose from but are easily overshadowed by the slots. They are overshadowed in numbers alone, however, as once again the visual quality and smoothness of play is on par with what they offer in terms of slot games. The games feel luxurious and sophisticated, and the variants of roulette on offer include European, Common Draw, American, and Zoom Roulette. The software also comes with a few other games to complete the package which really rounds off the collection nicely. 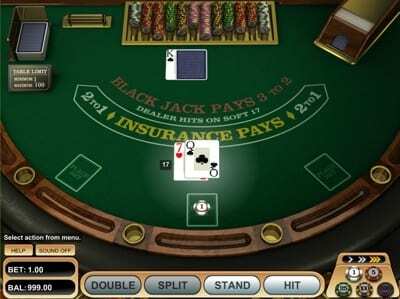 The different games include Craps, Ride’ Em Poker, Top Card Trumps, Baccarat, Caribbean Poker, Oasis Poker, Red Dog, Draw Hi Lo, Triple Edge Poker and 3 Card Rummy. 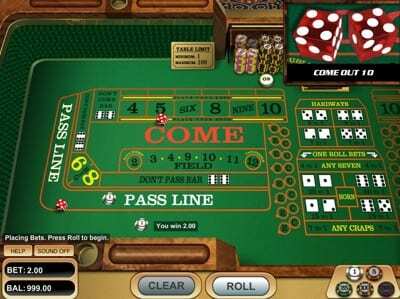 This adds plenty of variety to complete a well tailored table games package with something to suit everyone’s tastes, and each game expertly creafted. When you consider that Betsoft have only been in the industry since 2012, it’s remarkable to see what the company has achieved in such a short timeframe. Unlike the casino industry, the most successful names in the software sector often include companies that have decades of experience and have worked their way up through land based casino games into the online sector. Betsoft buck this trend. It’s fair to say that Betsoft are one of the fast growing software companies in operation, which is highlighted even more by the fact that they already have over 240 casino’s using their platform in some variation. The reason behind the company’s speedy rise to prominence has to be their views on innovation and their commitment to harnessing the latest technology in order to create the best games possible. Being one of the first to incorporate both Shift (moving from Flash based games to HTML5) and 3D games into their portfolio undoubtedly sets them apart from most of the competition. The fact that they have also managed to include table games, arcade games and interactive games within the platform suggests that there is a lot more to come from Betsoft. The way that this industry works, we wouldn’t be surprised to see a merger with one of the bigger players which could allow them even more creative freedom and, of course, capital to invest into bigger and better games. Exciting times for this young, enthusiastic casino games software company.